Pioneers in the industry, we offer precision balls from India. Owing to our rich domain expertise, we are engaged in offering an exclusive range of Precision Balls to our clients. 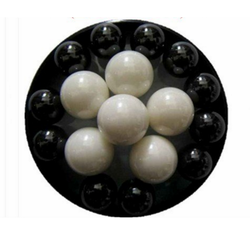 Suitable for high-speed applications, these balls are low-friction components for converting rotational motion to linear motion, or vice-versa. Looking for Precision Balls Rollers ?